What exactly makes a charity event successful? Home » Blog » Event Promotion » What exactly makes a charity event successful? Charity events are a great way to increase awareness and fundraise for a social cause. But what exactly makes a charity event successful? In order to ensure that your charity event is off to a great start, we must understand the many factors that contribute to its success. In this blog, we will share a charity event survey report and discuss some of the major determining factors for achieving success. 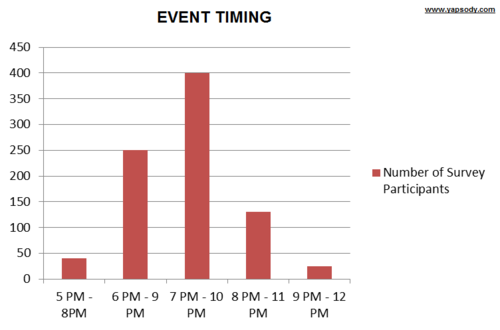 Among survey respondents, most people attend up to 9 events per year and most attendees prefer to attend these events on weekday evenings (especially on Thursday) between 7:00 PM – 10:00 PM. However, while Thursday nights between 7 and 10 p.m. are likely to draw the greatest crowd, you should ensure that there is no other charitable event that day whose constituency and cause are similar to yours. 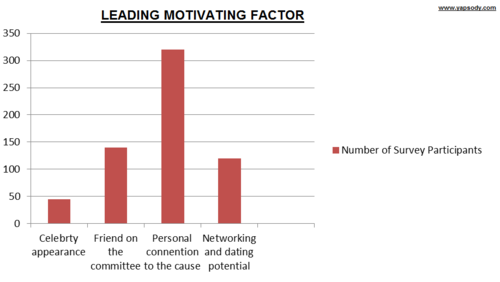 According to the survey, the leading motivating factor for people attending a charity event is a personal connection to the cause that your event represents. Hence, conducting thorough research to identify a target group that is somehow connected to your cause and customizing your event to that group is critical. Charity event attendees do know that a portion of the ticket price is going to fund the event. However, a highly motivating factor for driving donors to the event is an awareness that a significant portion of the ticket price is getting directly applied toward advancing the goals of the charity. 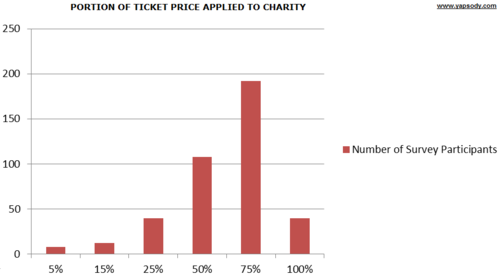 According to the survey, structuring your event so that 50%-75% of the ticket revenue goes to charity is an ideal target. Of course, the percentage ultimately depends on cost factors such as food and beverage offering and entertainment. Nevertheless, it is critical not to lose sight of your attendees’ expectations. In today’s world, most event goers are connected to the internet for their daily work, information, news, and entertainment. According to the survey, e-mail is the most effective method for promoting your charity event. Furthermore, it’s a cost-efficient means of quickly communicating with a large constituency. Nevertheless, a critical point to keep in mind is that when it comes to charity events and social causes, people still prefer human contact over email and social networking. In sum, these are some of the major factors to consider for maximizing the success of any charity event. And if you are able to manage these factors properly, your chances for success increase dramatically. Please feel free to share your thoughts and comments with us.